Ayaan is a full-time student and works on many extra curricular activities. 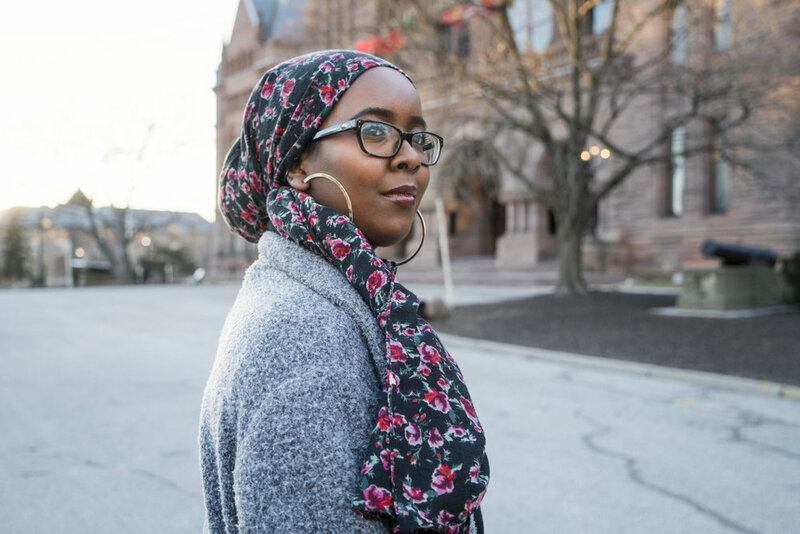 She told me she has a part-time job juggling a million different things, some of them being holding executive positions at multiple student groups, co-organizing the 2nd annual University of Toronto Black Graduation, and working a retail job. What she finds the most pride in is doing things that leave a positive lasting impression on others. 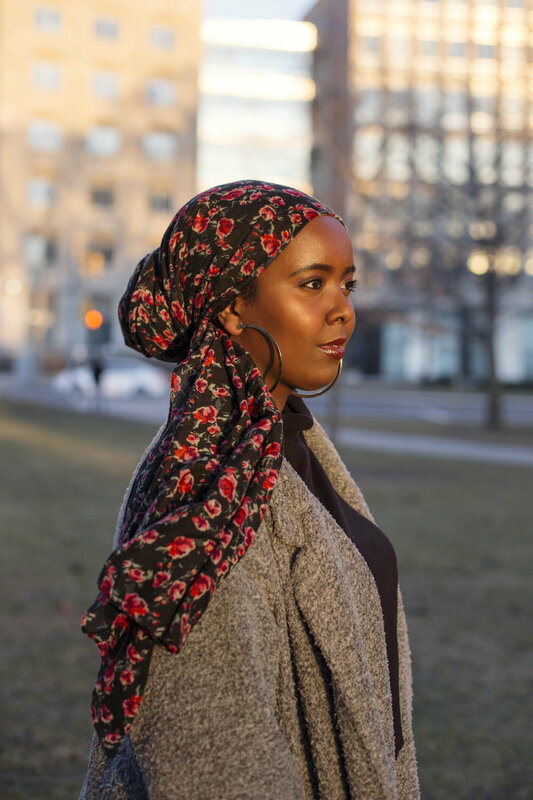 She told me one example is when she “co-organized [ a fundraiser] with five other Somali women in Toronto to raise money for Somalia during the height of the famine that plagued the country in April 2017. [They] were able to raise a substantial amount to directly aid Somalia during such a heartbreaking widespread humanitarian issue.” What’s also important to Ayaan is standing up for the truth. She told me, “I truly believe that everyone can dismantle the oppression so many face across the world by doing large scale demonstrations such as protests, but also by talking to your friends, calling out problematic relatives, or even correcting a professor on their problematic point of view.” That’s exactly what she does: she protests (she’s photographed where she took part in her first one), she asks her teachers to do better, and she stands up to her peers. When she isn’t trying to leave a positive imprint on this world, she loves being surrounded by her loved ones, Netflix binging, and taking photographs. "I can read upside down!" "One of my favourite qualities of myself is my truthfulness. As cheesy as it sounds, I believe honesty is the best policy."